Pupils at Clare Mount have been enjoying a block of rugby coaching from Vicky Irwin from Sale Sharks in the Community. 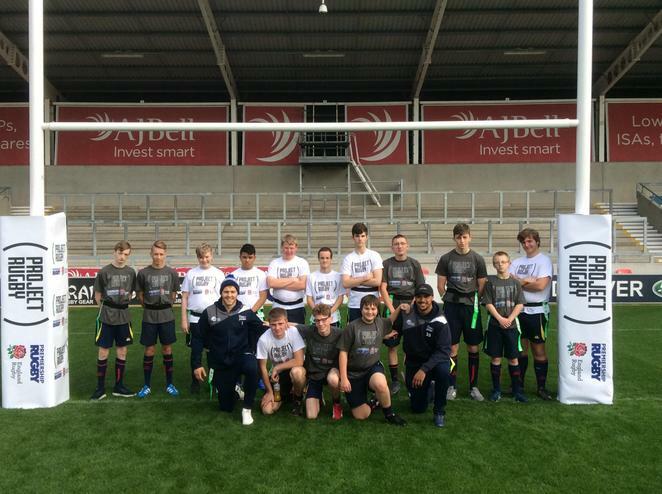 As part of this programme we were invited to a Project Rugby launch event at the AJ Bell Stadium. 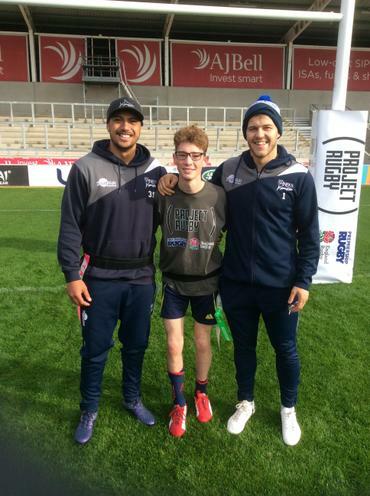 Clare Mount pupils got to paly tag rugby on the pitch with a numerb of Sale Sharks players including Denny Solomena who has recently been called up to the England squad for the Autumn International. 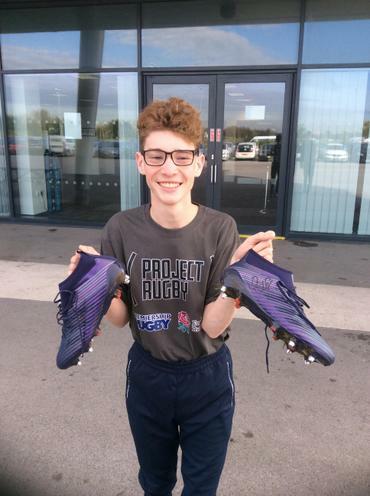 The Sale players were so impressed with our pupils that Denny gave a pair of his boots to Harry after Harry had told him all about his own try scoring exploits from the wing. "I couldn't believe it when he gave me his boots. The day was so inspiring" said Harry.